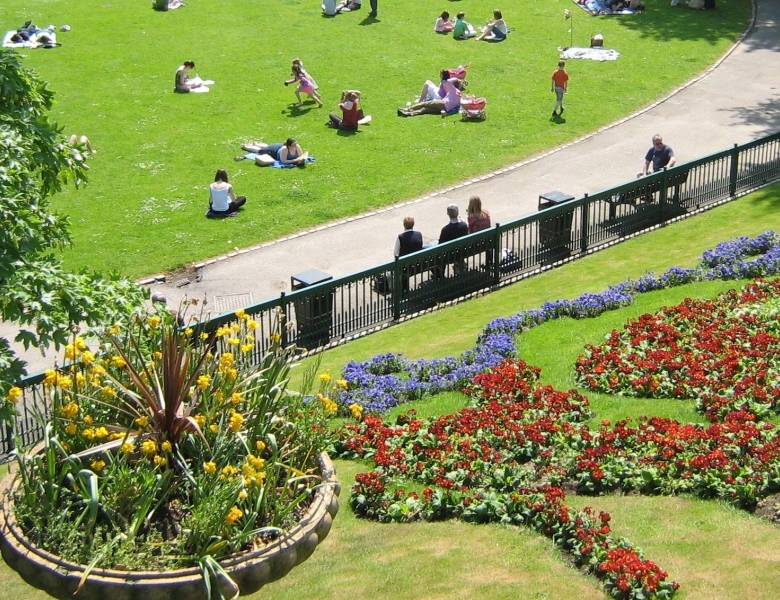 Over three years ago, Sir Ian Wood announced the City Square Project with the intention of replacing Union Terrace Gardens with “a cross between the Grand Italian Piazza and a mini Central Park.” It has since been renamed the City Garden Project. The cost of building the project is nominally £140 million, of which it has been proposed that £70M of this would be borrowed by Aberdeen City Council involving a tax scheme. Mike Shepherd offers some analysis of current local government trends, the recession, and what it may mean for Aberdeen. So what is the justification being put forward for this expensive project, a project that has caused so much controversy since it was announced? The project’s supporters allege the City Garden Project is needed to ensure that Aberdeen is attractive enough to retain energy professionals long term and to ensure Aberdeen’s economy is based on tourism post-oil. Aberdeen City Council is £562 million in debt (2010 figure). “The council said many local businesses supported the civic square proposal. And council officers have argued that full demolition and reuse of the site as a public space would provide the most additional value to the local economy. The cost of scheme is estimated at £4.4m, but the report said an additional 15,000 people per year would extend their stay in the city, with an extra 60,000 coming for events. “This would result in a combined additional spend per person per visit of £23 generating a total gross expenditure of £1.65m per annum,” it added. Perth and Kinross Council is £222 Million in debt (2010 figure). A similar controversy has been raging in Cork, Ireland, where the struggling Cork Council has been involved in a plan to install the Sky Garden Project. Celebrity TV gardener Diarmuid Gavin’s Irish Sky Garden won the gold medal at the Chelsea Flower Show (It looks like a giant hanging flower basket). The Council agreed to put the garden on permanent display in the city’s Fitzgerald Park at a cost of at least €300,000, with more than €1.7 million given to the project by Fáilte Ireland, the Irish tourism body. “THE taxpayer could be hit with a further bill of over €100,000 in costs connected to Diarmuid Gavin’s award-winning garden. “Workers’ Party councillor Ted Tynan said the council needed to clarify precisely how much the garden cost, and what the council would pay in transport, insurance and operating costs. He also expressed disbelief that the garden — including its 30-metre high floating ‘pod’ and crane — may only open for three months each year. “There are 500 boarded-up council houses in Cork and 120 people with various disabilities waiting on home adaptations. But the funding to go to all this has been cut by central government,” he added. “This is part of a long-term policy to create a necklace of top tourist attractions that will bring people to Cork, get them to stay longer here and spend more money here,” a council spokesman said. There is a pattern here. Local governments the world over are in serious debt. Services and amenities are being cut, yet it doesn’t stop them from spending money on expensive big-ticket items that might bring visitors in. There is a feedback loop between local government, chambers of commerce and national government that serves to create the syndrome, “if we build it, they will come”. Where local economies have failed as in Cork for example, tourism may be the last throw of the dice to engender outside income. There will be much competition for the dwindling number of international tourists as the recession bites. Recent reports suggest that countries such as Greece and Spain will focus relentlessly on promoting tourism as the last glimmer of light in their busted economies. Aberdeen has caught up on the trend of pushing long-term tourism. The local chamber of commerce have been promoting a new destination marketing organisation for the city called ‘Visit Aberdeen’. While a worthy cause, this has caused controversy as the annual budget will be part-funded by the city’s Common Good Fund; £107,000 for 2011 / 2012 and potentially for the next six years also. Arguably this is more ‘commerce good’ than ‘common good’. The draft business plan recognises the future of the City Garden Project / Union Terrace Gardens as a primary issue. It is to be hoped that an organisation part-funded by Common Good money will not be promoting the controversial development of a public park that lies on Common Good land. Are the citizens of Aberdeen willing to support the allocation of scarce resources to “a build it and they might come” vision for the city, allowing a public park to be developed for the sake of possible future tourists? Or is this all pie in the sky stuff that will use up money desperately needed elsewhere and will result in the appearance of the Granite City changing forever? You have the chance to decide yourself. 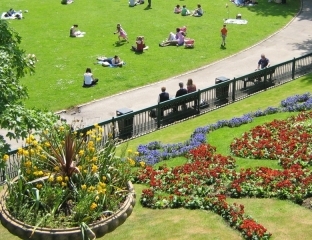 The referendum on the fate of Union Terrace Gardens will be held in February.